Newcastle Airport is easily accessible from the North of England via the A1(M) and from further North and into Scotland by both private and public transport. Explore the options below to find out which method of getting to Newcastle is best for you. You can often make big savings when you research which method of travel you would like to use and book your tickets online. Transport providers will cut prices to those who book early, so it is definetly worth sorting out all transport to and from Newcastle Airport in advance and saves a lot of hassle too! Travelling to Newcastle by car is a great option for most people. 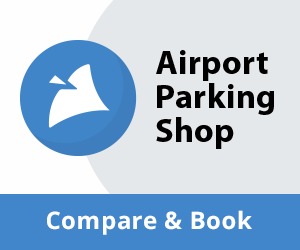 If you have your own car there are plenty of cheap airport parking options to choose from. If you have an early morning flight or would rather be closer to the airport the day before your flight the most hassle free option is to book an airport hotel. This is a reasonably priced option and saves you the hassle of having to get up at the crack of dawn to travel for an early flight! You can often get combined hotel and parking packages. Newcastle Airport is easily accessible by car from the A1(M) from the South and from various motorways and A roads further North, and so to the whole country. You can find out much more about directions, and view maps by visiting our Newcastle Maps & Directions page. National Express run one coach a day to Newcastle Airport, coach 383, and it picks up from Manchester and Leeds. National Express also run many coaches to Newcastle city centre. These will run more regularly. From the city centre you can catch a bus, or book a taxi to the airport. 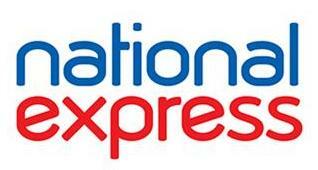 It is worth booking in advance as National Express have removed the booking fee when purchasing your tickets online. You can also save more money by booking in advance! Taxis are a great, hassle-free and convenient way to get to the airport. There are over 250 taxi companies serving Newcastle airport and the surrounding areas, many of which specialise in airport taxis and can offer great rates. Find cheap airport taxis near you by checking out our Newcastle airport Taxi Listings. Newcastle airport does not have its own train station, but it is on the city’s Metro line, putting it just half an hour from the city train station. The metro services are frequent, and are the best way to get into and around Newcastle city centre. From Newcastle there are services to other major UK cities (including London King’s Cross, Leeds, and Edinburgh), and to various local destinations. There are regular bus services from Newcastle city centre, the Metro Centre in Gateshead and Blyth, to the airport terminal. Full timetables for these services can be found on the Nexus website.